More than a dozen members of the Philippine Judges Association visited the District Court on October 2, 2017. 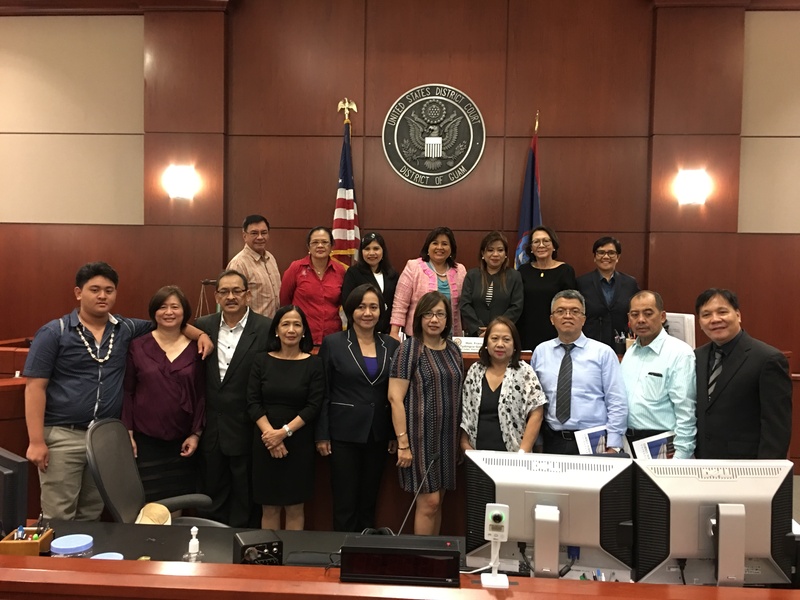 The judges, who all were trial court judges from throughout the Republic of the Philippines, toured the courthouse and spoke with Chief Judge Tydingco-Gatewood and U.S. Magistrate Judge Joaquin V.E. Manibusan, Jr. about the federal court system.